Experimental composer and musician who takes influences from Eastern European folk music, soundscapes and improvisation, Francesca Ter-Berg explores this sound world using her voice, live electronics and the cello. First Set: Improvisation as Francesca melds her cello, voice and electronics with Poppy Edwards on electronics, voice and keyboard. Second Set: Francesca will be joined by drummer Simon Roth and Ashley Paul on sax, guitar and vocals. 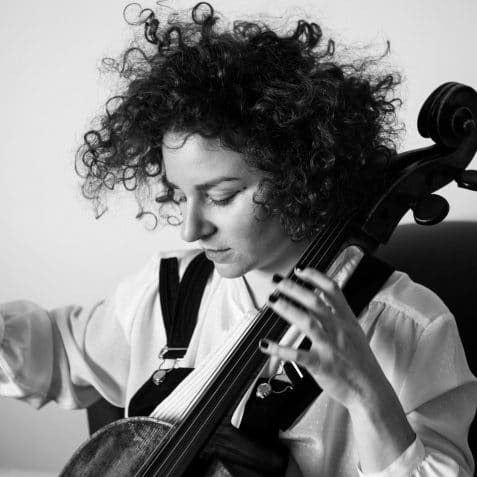 Francesca is a London based cellist, song-writer, composer and improviser. Francesca’s playing style takes inspiration from Klezmer, Transylvanian and Romanian music which she has studied across the globe over the past 10 years. Her duo Fran & Flora was recently picked up by the BBC Music Introducing team and is hailed by Late Junction’s Max Reinhardt as “London’s best kept secret’. Her collaborative experience and diverse musical background has led Francesca to be one of the most versatile and in demand session and studio musicians in the UK having worked with artists such as Sam Lee, Talvin Singh, Snow Poet and Portico Quartet. London based songwriter, sound designer and producer Poppy Edwards mixes found sounds and external noise into beats and synth textures. Most recently Poppy can be found working with a variety of producers, singing with Canadian punk metal band Fucked Up and John Tonks (Neneh Cherry/Massive Attack). Her debut album, Altered States, which she wrote and produced as her final project for her Masters in Music from Goldsmiths University, will be out in the late-Spring. 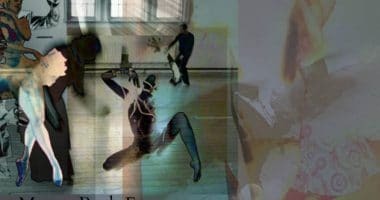 Ashley Paul is an American performer and composer based in London. She uses an array of instruments including saxophone, clarinet, voice, guitar, bells and percussion. Ashley has performed or recorded with Phill Niblock, Rashad Becker, Nik Colk Void, Loren Connors, Heatsick, Aki Onda, C. Spencer Yeh, Anthony Coleman, Bass Clef, Joe Maneri, Joe Morris, Seijiro Murayama, Greg Kelley, Bill Nace and Eli Keszler appearing on such labels as Important, PAN, ESP-DISK’ and Tzadik. Simon Roth is a drummer, improviser and composer working within the contemporary, jazz and world music scenes. He has performed across the UK, Europe, North and South America and Asia with the Elliot Galvin Trio, Vula Viel and the Raphael Clarkson’s The Dissolute Society, Thought Fox with Lauren Kinsella and Engines Orchestra. Simon is also a band leader (May Day /Stories) and currently in the process of recording an album for his new project Land Of If. They aim to share: to bring women from the background to a balanced foreground in jazz. Female instrumentalists have not been part of the story of jazz as much as their male counterparts and we want to play a part in writing a more balanced story from here on in and dissolve stereotypes in the process.